Bunzl Catering Supplies has been shortlisted in recognition of our Sustainable Future e-brochure launched in July 2017, which represents over a year’s activities and achievements on Sustainable initiatives in our business. Presented under three pillars: people, customers and suppliers – the e-brochure recognises (and celebrates) collaboration and innovation that’s had a positive impact on the way we deal with waste in our business, and in the wider catering and hospitality industry. The Footprint Awards remain the only initiative to honour the achievements of companies in the area of sustainability and responsible business practice in the out of home sector and its supply chain. These awards are open to organisations at every stage in the food supply chain from growers, producers, manufacturers and distributors, through to all hospitality and foodservice operators in both public and private sectors, their suppliers and other stakeholders such as NGOs and specialist support services. 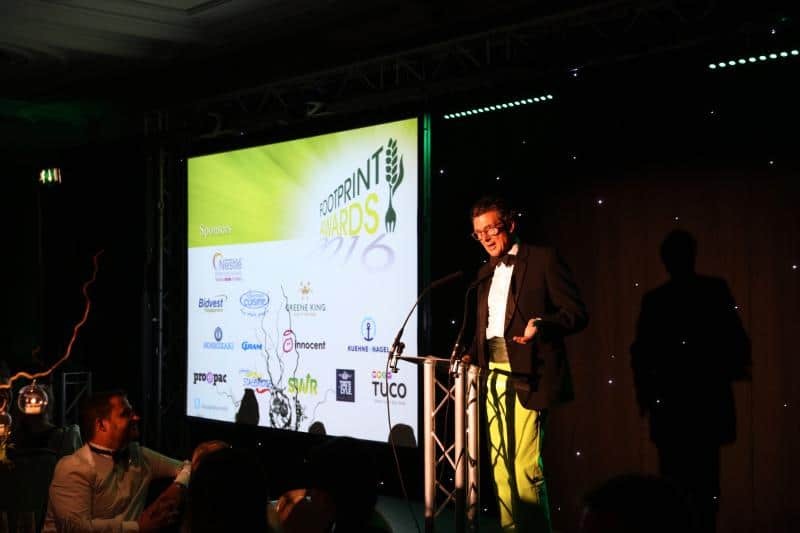 Organised by Footprint, and judged by senior industry specialists, the Footprint Awards have become synonymous with best practice and dedication to sustainability. Now into its 8th year, the Awards have seen yet another record number of entries evidencing the increased importance placed on sustainability within the corporate policy mix. The winners will be announced at the glamorous awards ceremony on 24 May 2018.